Last year we published ‘Entrepreneurs Can Now Loan N500k, N5m, N50m at 9% Interest From Nigerian Banks.’ It was a major breakthrough for SME financing as the regular interest rates were dropped by over 100% for entrepreneurs under the CBN N220 billion MSME fund. But the CBN initiative suffered a major setback as commercial banks were unwilling to participate. However that has been resolved. Under the programme, each of the 36 states and the Federal Capital Territory (FCT) , would be entitled to access as much as N2 billion . But the funds will not be disbursed to the states directly but through banks which are expected to effect the disbursements directly to the beneficiaries. Already, the CBN, has signed an agreement with five commercial banks to disburse part of the N220 billion MSME fund to entrepreneurs in the country. The banks include; United Bank of Africa, UBA, Skye Bank, GTBank, Zenith Bank and Fidelity Bank. According to a joint report by the International Finance Corporation and McKinsey, the financing gap of this critical sub sector of the Nigerian economy is about N9.6 trillion as at 2010. In order to close this gap and unlock the potentials of the Nigerian MSMEs, the CBN initiated the N220 billion Fund as an innovative way of improving the access to finance at single digit interest rate, shoring up their potentials for job creation and enabling them reduce poverty within the country. The MSMEs Fund will be disbursed and administered through the commercial banks . 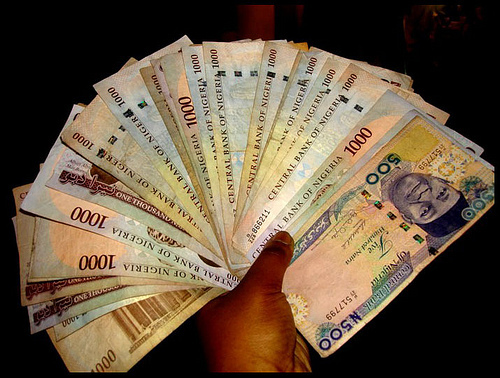 State governments will be able to access up to N2 billion each for on -lending to eligible beneficiaries through participating financial institutions in their States. ‘Our optimal goal is to see that this Fund get to our people at the bottom of economic and social pyramid at single digit interest rate .without achieving this ultimate goal , it will impossible to achieve job creation and poverty reduction . In order to ensure the attainment of our goal therefore, the CBN will be committing human , material and financial resources to monitoring both the disbursement and utilization of these funds in a robust and verifiable manner. 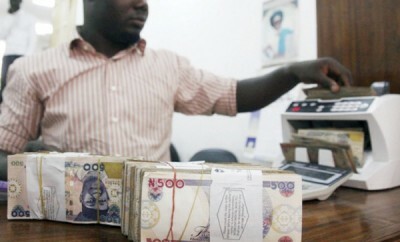 Considering the important contribution of SMEs to the nation’s Gross Domestic Product (GDP), accounting for over 60 percent, the President of Trade Union Congress (TUC), Bobboi Kaigama told Daily Independent that the effectiveness and transparency of the disbursement of the CBN ‘s funds will determine the impact of this financial intervention on the Nigerian economy. He explained that in his personal opinion, If the government is interested in developing the non-oil sector and generating income from it, the best way to do this is to empower SMEs through easy access to credit and specific business-friendly policies. He said: “We also believe that if SMEs are to play their expected role in the value chain of the economy, regulatory costs such as excessive charges by banks and government agencies, as well as problems that have to do with infrastructure, such as poor power supply and bad roads, should be urgently addressed. It has become essential to institute policies that are business and people-friendly”. According to Kaigama, the N220billion MSME Development Fund by the CBN must be properly administered to achieve its desired objectives as the aim of the fund is to provide wholesale credit at 3 percent interest to financial institutions, for onward lending to MSMEs at 9 percent interest over a maximum period of five years. He noted that many SMEs are complaining about their inability to access the loan, while allegations have been made by some that the banks have raised the interest rate beyond the 9 percent approved by the CBN. “We urge the banks to be transparent in the processes for lending this fund to the MSMEs so that they can get back on stream and contribute their own quota to economic growth and job creation. If government is sincere about diversifying the economy, this is the time to pay genuine attention to the non-oil sector and support SMEs to generate revenue and jobs”, he said. 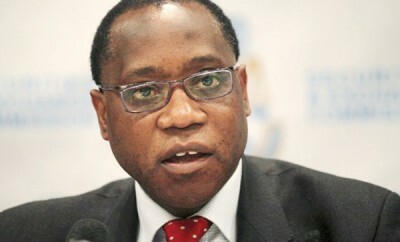 “Altogether, if our economy is to compete globally, priority should be given to SMEs by creating an enabling environment for them to thrive, let the relevant authorities do what is necessary to reduce the cost of doing business and make credit available and affordable to genuine businesses so that they can survive, and grow,” he stated. Financial experts are afraid that those who the funds are genuinely meant for may be unable to access the funds. The Vice-President of the Nigerian Association of Chambers of Commerce and Industry Mines and Agriculture (NACCIMA), Mr. Dele Oye, while speaking on the MSME N220 billion intervention fund by CBN,it would not be good if bigger operators in the sector who find it easy to access regular loans from commercial banks in the country are still the ones accessing the MSME fund. The Vice President of NACCIMA contended that taking into consideration the way and manner banks and other financial institutions conduct their businesses, they is every possibility that they are more likely to consider customers they already know and whose businesses they are familiar with. He posited that if financial institutions operates that way ,it means those who the fund are meant for will not be able to access the funds, adding that if that happens it would have made little or no impact because the real MSME did not access the fund. Other operators are worried that the possibility of accessing the N220 billion set aside for MSME operators by the CBN may be difficult just like the funds given out by development banks such as the Bank of Industry (BoI), who in the process of trying to ensure that funds do not go into bad ventures or to serial debtors, screen out most of the genuine operators, who actually need the funds to expand their businesses. He continued, “That’s why the partnership with IFC will also train business owners in human resource management, access to markets and market information as well as financial management”. I believe some banks still don’t have a clear term on this. First week of October 2015, I was told at UBA that I need to have a capital base of N200 million to be eligible for this loan. If I got that money, why go to the bank for a loan? Where is the transparency to assist MSMEs in Nigeria? Wow! How much loan were you applying for? Truth is, there is still a lot of misunderstanding of the needs of MSMEs and unclear communication between stakeholders. At the recent Konga Seller Summit, Stanbic IBTC SME unit head Akin Oyebode, testified that regulators and banks are just beginning to humbly sit down and work together on SME interventions. I was told just last week that Fidelity Bank has stopped issuing loans for now. please is it still working? if yes how can we business men and women in Nigeria access this money now? Have the banks been given the money, if yes, what are the procedures? It is true and sad that many bank officials are not even aware of the responsibilities and programs of their banks. Look through the CBN website for the program. There’s also a Bank of industry Youth Empowerment Scheme (YES) that’s giving out up to 5 million naira loans to young people. Deadline is in 5 days. Apply quickly! were is CBN website is available? OK is the bud jet advert placement right? . I lean that Duke one honourable minister gone on intellectual or why don’t you visit your bank website been UBA to confirm it’s availability as we are just talking they said you are not responsible to Bob God day internet of things changes as against emefiele feary Godwin and to your informative that this your enterprise 54 would stop operation soon as soon as possible then into poet then I tell you no Jim in third continent keyboard cashed. Please i want to appply,how do i go about that.i really need it! 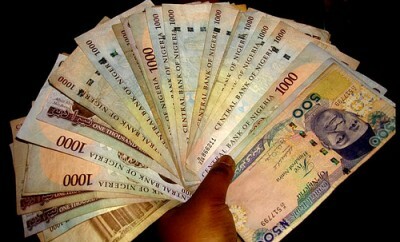 Please i need a business loan to startup , how do i go about it, anyone with an idea can please sheer, i will be glad. Thank you and God bless we all.